Ideally, you’re looking to invest in your own neighborhood. By doing this, not only do you have the home advantage, but you also show your financial backers (and any other locals, like politicians, realtors or competitors) that you have a personal connection to the community. If that’s impossible, really get to know the place. Driving or walking is your best bet, and interacting with the locals is vital. Are they mostly renters or owners? Are they singles, students, childless couples, families or empty nesters? What kind of amenities are there? Are there grocery stores, shopping malls and restaurants? Are there schools, churches, community centers, libraries and parks? Is there an arts or sports scene? If not, are there highways and/or public transport to access any of those things? How is the crime rate? How are the schools? Are the roads potholed, is the infrastructure crumbling? Is the area in a flood zone, near an earthquake fault, or at risk for tornadoes, wildfires and hurricanes? As a property owner, particularly a landlord, you’re not going to be able to avoid the local bureaucracy, so get to know your zoning/construction office. With any prospective rental property, it is crucial to find out if there are any outstanding violations and if the municipality has to approve a property having tenants if it has never had them before. Will it be subject to a rental inspection where you could incur numerous costs that you didn’t think would need to be fixed? Otherwise, what does the local government have planned for your neighborhood in general? Are they looking to add a railroad, subway, highway or major housing or retail development that might make your property more valuable? Are there any risk properties in your neighborhood that may be seized for eminent domain? If you are looking at an unincorporated area, is there any movement to change that, and what does that mean for your investment? Many municipalities are looking to tackle blight, and they might be offering investors tax breaks or other incentives to gentrify. Is your neighborhood on the list? Does the local government oversee gas, water, trash pickup, sewage or electricity? Or is that handled by private companies? How about communications? Who handles cable, telephones and internet? Find out if there is a public school district, or if students attend schools in various districts. Are there police and fire departments, or do they subcontract to the county? While you should definitely do your own research, getting to know local realtors is very important. They should not only confirm your findings (or point out if you’re wrong), they’re your best resource for prospective properties, prices and financial demographics. They should also be able to clue you in on everything from municipal gossip (which supervisor has been having a lot of lunches with a major developer?) to which banks are easiest to deal with when you are looking at buying foreclosed properties. They also know who is the best contractor, or who is the most investor-friendly contact at the township. 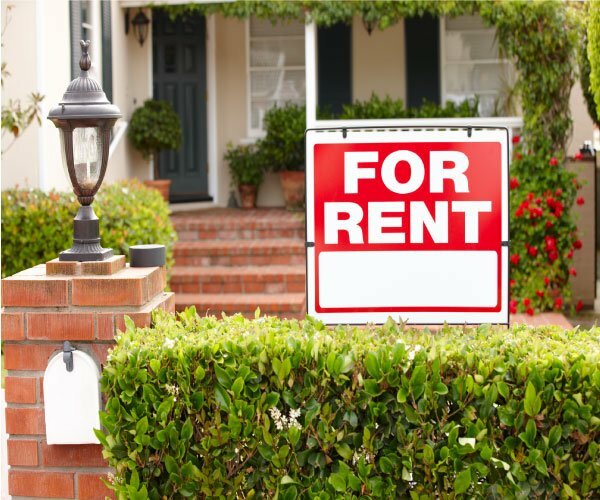 What are the market rents for various size properties, including one, two and three bedrooms? Check Craigslist, Zillow, BlockShopper and any other sources of rental data. Who would be your competition when you are ready to rent? How many units do they own, and in what proximity and condition are they? Should you strive to provide a higher end product to obtain more rent, or are you better off matching the competition? Who are the neighbors? Do they rent or own? Are they singles, couples, etc.? Are they quiet or loud? Are they busybodies who will make any and all renovations unbearable? Has there been a lot of crime in the area in the last few years, including vandalism, car break-ins or burglaries? As to the property itself, what condition is it in? How much work will it need? Hiring a property inspector is your best bet, because even though they are expensive, he or she may spot flaws like termite damage or mold in places you haven’t thought of. People also often overlook the negatives of septic tanks and underground heating oil tanks, which can get ruinously expensive if they break. What is the property’s history? How many owners has it had? How much of that history are you obligated by law to share with tenants? As for tenants, is the property already being rented? If so, who are the tenants, and what are their rights should you choose to evict them? What are their rights should you choose to let them stay? Is the property in a rent-controlled neighborhood? Are any of the units Section 8? The contractor is the linchpin in any successful renovation or construction project, and finding a great one can be a challenge. But that is where your connections with realtors, city officials and other locals can really help. All these people should be able to help you avoid the bad apples who cut corners, cheat you or just plain abandon the job midway. Ideally, the contractor you choose will be well-established and have a strong local connection and a good reputation. But even then, you should go and check out completed jobs and try to talk to owners before hiring. If the recommended contractor is prohibitively expensive or just plain overbooked, and your sources are out of ideas, you may have to go out of town. In that case, the Better Business Bureau, Yelp and Angie’s List can give you some suggestions. When working with an outsider, though, you have to really do your homework on everything from building codes and permits to noise ordinances. Does your street allow construction work on weekends? When is too early on a weekday? Be wary of any contractor who isn’t willing to educate themselves on the local rules, or acts cagey about everything from their workers to where the building materials come from. We hope you will keep these things in mind before spending your hard-earned money, because we assure you they will save you time in the long run and help you make a great investment. Happy hunting!